Experience the power of the small-sized Apple Mac mini desktop. 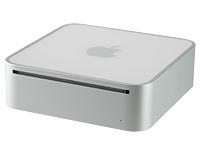 The Apple Mac mini Desktop (2009) features an Intel Core 2 Duo 2.53 GHz processor, 4 GB DDR3 RAM expandable up to 8 GB, a 320 GB SATA hard drive, and a Dual Layer optical SuperDrive. This Apple Mac mini features the NVIDIA GeForce 9400M graphics processor with 256 MB video memory for faster graphics rendering. 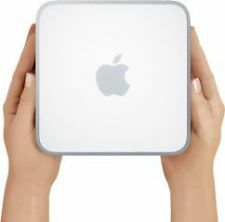 For media professionals, the Apple Mac mini Desktop (2009) proves a rock-solid workstation with the latest Mac OS X 10.7.1 “Lion” pre-installed. 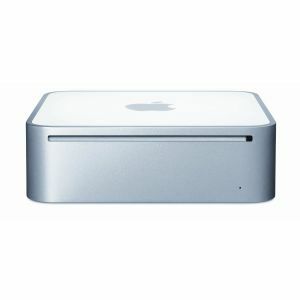 The Apple Mac mini desktop makes viewing, editing, and printing, backing up, and sharing pictures and videos easy. This Apple Mac mini has a Gigabit Ethernet port and built-in AirPort Extreme, Bluetooth2.1+EDR support, and 1x FireWire 800 and 5x USB 2.0 ports.